Lang and Chadwick both had the influence of music within the family during their early years. Chadwick”s father “Alonzo had taught in an academy and singing school near Concord, New Hampshire, while Chadwick”s mother sang in the church choir….Alonzo Chadwick was a member of the Lawrence Musical Association and was one of many area singers to lend his talents to Patrick S. Gilmore”s enormous musical spectacle, the 1869 Boston Peace Jubilee.” (Faucett, Bio-Bib, pp. 1 and 2) Lang”s father, Benjamin, American born and of Scottish descent, was a piano dealer, music teacher and possibly also a piano maker in Salem, Massachusetts. Lang senior found his best pupil in his own son, and by the age of twelve, B.J. was already accomplished enough to perform the A flat Ballade of Chopin. Chadwick dropped out of high school at seventeen before graduating. After a brief period working at the insurance agency that his father had founded, he enrolled as a non-degree student at New England Conservatory in 1871. Four years later, but without a degree, he was hired as the total music faculty at Olivet College in Olivet, Michigan. This one year of teaching motivated him to seek further musical instruction, and the next three years were spent in Germany. After a brief stop in Berlin, Chadwick moved to Leipzig to study composition with Jadassohn and Reinecke from 1877 until 1879. The third year was spent as a composition pupil of Rheinberger in Munich. He returned to Boston in March 1880 to begin his real musical career-he was now twenty-six. Lang did finish high school in his home town of Salem, Massachusetts, and then also went to Germany for three years of study. In 1855, aged seventeen he went to Berlin where he studied with Alfred Jaell. Lang may have made this choice based on the advice of his Boston piano teacher, Francis G. Hill “who was among the first of Boston young men who went to Germany to study music. ” (Dwight, June 1, 1872) Or, Lang may have heard Jaell play the Boston premier of Mendelssohn”s Piano Concerto No. 2 in D Minor, Op. 40 on February 19, 1852 with the Germania Orchestra conducted by Carl Bergmann. While in Germany Lang also was “fortunate to have the personal direction of Liszt while studying the piano.” (Nat. Cyclo Am Bio., p. 430) The first meeting of Lang and Liszt may have occurred over a card game when “one evening, at the whist table, he [Lang] had held all the trumps, and when suspected of being a card sharp found a supporter in Liszt.” (Boston Globe, MRL 100th. Year article) At this time Lang also met Liszt”s daughter, Cosima, which led to Lang”s later associations with her two husbands, Hans von Bulow and Richard Wagner. Elson, “Musical Boston,” Supplement to “Music and Drama,” June 3, 1882. HMA Collection. Chadwick”s “first appearance in ”society” was at the house of Mrs. James Lawrence where he heard his Quartet in C Major played before an audience that included “the whole Harvard Musical Association crowd…Mr. Lang, Dwight, Apthorp, Perkins and Mrs. Pratt, Mrs. Bell, Mrs. Gardner…I was very uncomfortable and ill at ease at first…but after the qquartet was played I held a sort of reception and was introduced to the whole crowd. The venerable Robert C. Apthorp spoke very sympathetically to me and made some pleasant predictions for my future. Billy Apthorp [the music critic] was very cordial, but I thought rather flippant.” (6317) This private performance was in preparation for a public concert presented by Euterpe on January 5, 1881. Lang had been on the Committee that formed the Euterpe series, and he probably was influential in selecting the the works to be performed. Chadwick began teaching at NEC in the spring of 1881. His first assignment was a composition class which met once a week, and he was paid $1.50 per hour. (6322) He describes that the Conservatory was “then in Winter Place, next to the Music Hall building. (Ibid) Chadwick would later teach Lang”s daughter, Margaret Ruthven Lang. Lang thought enough of Chadwick as a teacher to send his daughter, Margaret to him for further instruction after she returned from her two years of musical study in Munich. In a letter to Mr. Krehbiel dated May 22, 1893 Margaret Ruthven Lang wrote: “I first studied harmony in Boston with my father, and the pianoforte and violin under various teachers…During a two years sojurn in Munich, I studied counterpoint and fugue with Prof. Victor Gluth, and the violin under (first) Louis Drechsler and then Prof. Abel. On returning to America I studied, in Boston, orchestration with Mr. Chadwick.” (BPL Lang Collection, Rare Books) George Chadwick had studied at the Munich Hochschule fur Musik about ten years before Margaret”s time there. 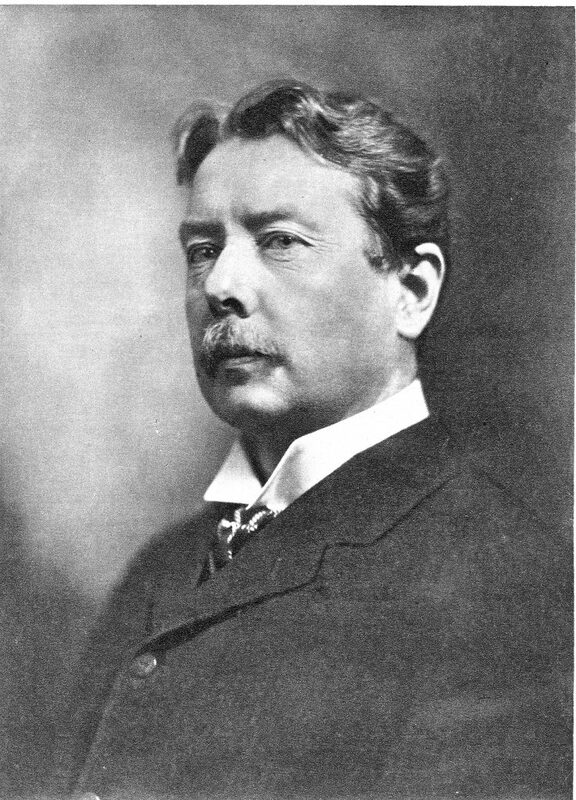 He also had worked with Ludwig Abel who was the “concertmaster for the Wagnerian conductor Hermann Levi.” (Yellin, p. 38) Chadwick”s time in Munich was from 1879-1880, when he was primarily a composition pupil of Rheinberger. An examination of Chadwick”s “Diaries/Datebooks” for the periods of June-December 1892 and all of 1893 show no mention of Margaret having regularly scheduled lessons with Chadwick-in fact her name is not found at all during this period. But, in the Chadwick files at NEC there is a photo of B.J. Lang incribed “For dear Chadwick” and dated 1890 which shows strong connection between the two men, and so Margaret may have taken private lessons on an irregular basis. ELSON, HISTORY OF AMERICAN MUSIC, P. 228, Plate VIII. 1904. 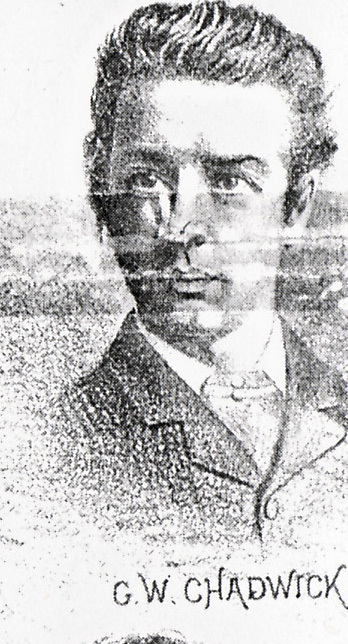 Chadwick in his mid-40s., just after he had Margaret Ruthven Lang as a student. B. J.’s interests of orchestral conducting and introducing new music continued even late in life. 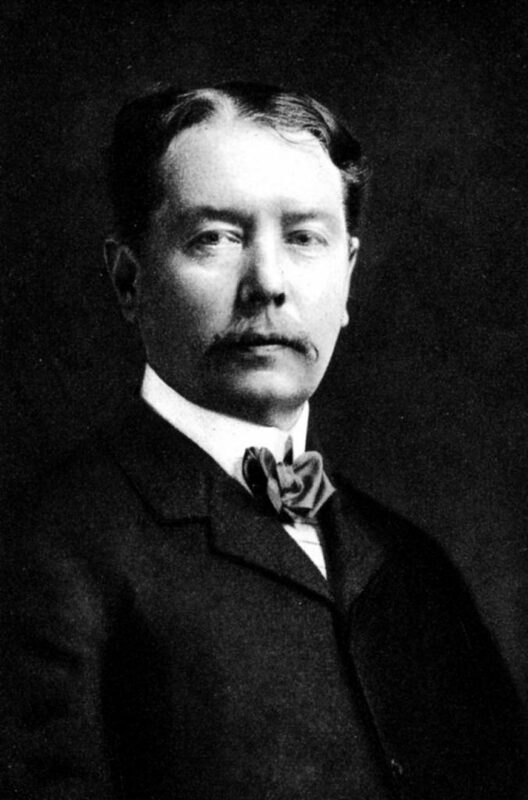 Late in 1903 the Chickering Piano Company asked Frederick S. Converse, Arthur Foote, Charles M. Loeffler and B. J. as Chairman to form a committee to “arrange a series of concerts in Chickering Hall, 153 Tremont Street…February 10, 24 and March 9 and 22, 1904…The purpose of these concerts is to give the public an opportunity to hear new and interesting compositions in a hall of moderate size…the orchestra will number between fifty and sixty.”B. J. was to be the conductor. G. W. Chadwick”s name was also listed as a committee member on the “Chickering Orchestral Concerts” stationary, but his named was crossed off on letters sent from Lang to Chadwick. For some reason Chadwick did not participate, but in spite of that, for the fourth concert, Lang asked Chadwick for the score and parts to “three pieces of yours that Mollenhauer once played on a tour,” and further, “would you be willing to conduct them?” (Ibid, dated Boston, 16th.) The pieces referred to were Chadwick”s Symphonic Sketches. After the concert, Lang wrote on the 27th: “Damn the public in general + the musicians in particular for not filling Symphony Hall last night. The work is full of character pictures and genuine musical protraying.” (Ibid, dated 27th. At the first concert the American premier of Debussy’s Three Nocturnes (with female choir) was given as the second item of the concert and also repeated as the final number-the same procedure that he had followed forty years earlier in introducing new works. The links between the two men continued even after Lang”s death. At the BSO concerts of Apr. 8 and 10, 1909 Mozart’s Masonic Funeral Music was played in Lang”s memory.The Mozart opened the program, and was followed by world premier of Chadwick’s Theme, Variations, and Fugue for organ and orchestra.Also on the program was another Boston premier, “Spring” from Musical Picture for Orchestra Opus 34 by Glazounoff.How appropriate that the concert honoring Lang should include two premiers-this was probably more a tribute to the work of bringing new music to Boston done by B. J. than was the playing of the Mozart. How appropriate also that the other premier should be by George Whitefield Chadwick! Mentor Association Print dated 1918. In Zellin this pose is listed as c. 1910. This pose was also used in AMERICAN COMPOSERS, Revised Edition of 1914 by Rupert Hughes and Arthur Elson. In 1910 Chadwick would have been 56 years old. Johnston Collection. Mentor Association Print dated 1918. In Zellin this pose is listed as c. 1910. This pose was also used in AMERICAN COMPOSERS, Revised Edition of 1914 by Rupert Hughes and Arthur Elson. In 1910 Chadwick would have been 56 years old. Johnston Collection. years. A second entry dated Wednesday, April 7th. noted: “Funeral of Mr.
musical instruction, and the next three years were spent in Germany. Massachusetts, and then also went to Germany for three years of study. Hans von Bulow and Richard Wagner. coterie monopolized that field.” (6316) Elson, “Musical Boston,” Supplement to “Music and Drama,” June 3, 1882. HMA Collection. his clean-shaven face among a score of hirsute dignitaries including B.
he was appointed as composition teacher at the New England Conservatory. conservatory’s ensembles were of a respectable calibre.” (Op. Cit., p.
Chadwick’s “first appearance in ‘society’ was at the house of Mrs.
was influential in selecting the works to be performed. “What would part-song writers do if the Vikings had never been invented? later teach Lang’s daughter, Margaret Ruthven Lang. the custom of the local music teachers, especially the disciples of Mr.
of only two weeks between each presentation was a major undertaking. afternoon. I talked and played to them the music of the current Sym. Chickering’s, Mr. Chadwick is doing the same at his studio, Prof. J. K.
Paine is giving historico-musical lectures once a week, [and] Mr. L. C.
scherzo, which has already excited so much admiration,” while Louis C.
in the “Boston Evening Transcript” of February 5, 1886 stated: “Mr. the work as having “much rich humor of the college glee-club sort. him and after a bountiful repast he suddenly turned to me and said ‘Mr. astounded for I never dreamed that they would think of anybody but Mr.
this move was made but it was hinted that they were rather tired of B.
was sung as part of a group of three songs by Mrs. Jennie P. Walker. Ludwig, George J. Parker and Joshua Phippen. The composer conducted. Song of the Viking which had been written in 1882 for the 50th. Anniversary celebration of a choir in Leipzig. (Am. Grove Vol. 1, p.
388)[Faucett gives the date of the German-language version as c. 1904. The copyright date was 1882 and the dedication was to Benjamin L. Knapp. part of Four Part Songs for Male Voices published by Schmidt in 1886.
this major work with a double quartet at South Congregational Church. concerts promoted by Lang from 1885 until 1888. Two years later Mrs.
accompanist for the assisting artist, the violinist Miss Maud Powell. taken private lessons on an irregular basis. p. 228, Plate VIII. 1904. Margaret Ruthven Lang as a student. Chadwick to “Give my love to them!”(NEC Collection of letters to G. W.
moderate size…the orchestra will number between fifty and sixty.”B. J. The links between the two men continued even after Lang’s death. Mentor Association Print dated 1918. In Zellin this pose is listed as c.
1914 by Rupert Hughes and Arthur Elson. Previous Previous post: CHAPTER 01. BJL: CHILDHOOD, TEENS, EUROPEAN STUDY, ORGAN POSITIONS:SC.